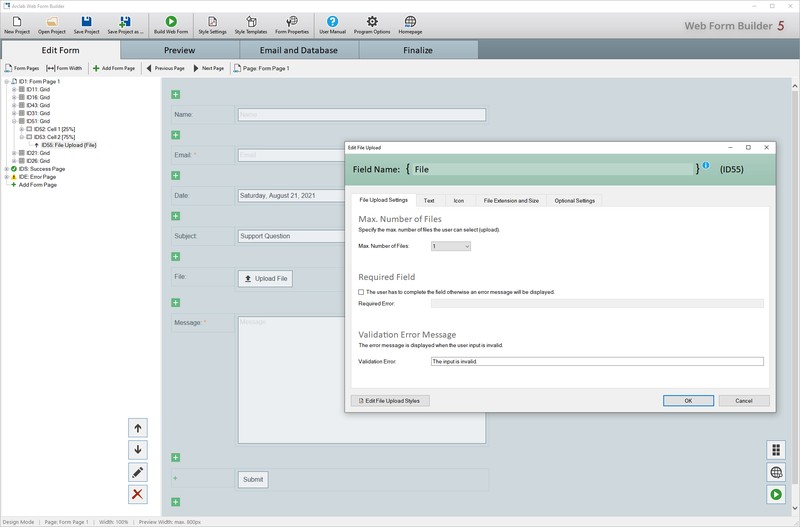 Arclab Web Form Builder includes a "File Upload" form element that allows the form user to add files to the form data. This makes it easy to implement application forms with photos or contact forms with additional documents, e.g. an Excel sheet. The user-submitted files can either be sent to you as an email attachment or written directly to a MySQL database. With the help of the file filter you can specify exactly which files the user can upload. You can filter the file by size and extension. 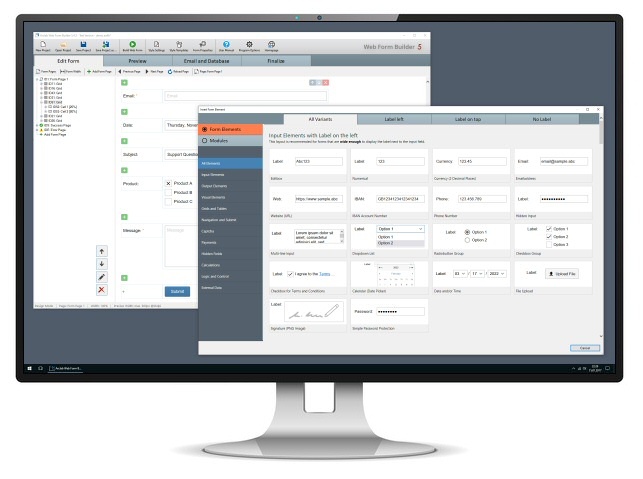 When creating the web form, no manual programming is required. All code is created by the program. It's recommended to protect your form using a Captcha to lock out bots and automated submissions. The program has a built-in Captcha and also supports Google's reCaptcha v2 and Invisible reCaptcha. There are no additional include files required - all the code is included in the created php file.